"Swiss Family Treks provided my wife and I with exceptional service and personal attention for a trek in the Everest region of Nepal. 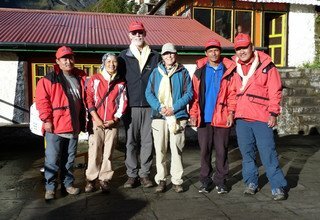 They arranged for us to be accompanied by one of the foremost Sherpa guides in the region, and porters who were exceptional. Swiss Family Treks is a trekking company with incredible integrity. I highly recommend them to anyone interested in a guided trek through Nepal."